Dr. Hong is a pediatric rheumatologist from the University of Iowa Stead Family Children’s Hospital. She received her Doctor of Medicine and Master of Science from the University of California San Francisco-UC Berkeley Joint Medical Program. She completed her pediatric residency at Harbor-UCLA and her pediatric rheumatology fellowship at Children’s Hospital of Los Angeles. She came to the University of Iowa in 2007. She is an active member of Childhood Arthritis and Rheumatology Research Alliance (CARRA) and the American Academy of Pediatrics. She loves working with children of all ages so that they can be healthy, happy and reach their full potential. The Arthritis Foundation is pleased to honor Dr. Hong at this year’s Walk to Cure Arthritis in Cedar Rapids. 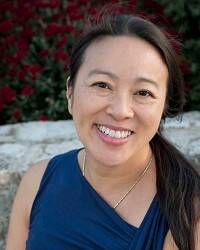 Visit Dr. Hong's team page, Pediatric Rheumatology Rocks, to donate today! In September 2007 at the age of six, Shelby developed a red hot rash on her knees, ankles, elbows and hands. Her pediatrician thought it was an allergic reaction and increased her allergy medication. The rash went away over the weekend, but Shelby kept saying her hands and feet hurt. Shelby had complained off and on for the last few years about her hand and feet pain, even crying in her sleep that they hurt. Doctors believed they were growing pains. One Saturday morning in October 2007, Shelby woke up with extremely swollen hands and feet. The doctor prescribed an over the counter medication until her next visit. Saturday, a friend, who was a pediatric nurse, looked at Shelby’s hands and feet and suggested they have the doctor run tests for juvenile arthritis. On October 31 her pediatrician ran blood work. That same day we received a call that the blood work was abnormal, and we were given an appointment with the pediatric rheumatology department at the University of Iowa Hospital and Clinics. We met with Dr. Sandy Hong the pediatric rheumatologist. Dr. Hong examined Shelby ordered 11 pages of labs and started her on a nonsteroidal anti-inflammatory drug. Our world changed on December 2007 when Shelby was diagnosed with polyarticular juvenile idiopathic arthritis. Since her diagnosis Shelby has also been diagnosed with amplified musculoskeletal pain syndrome (AMPS), neurocardiogenic syncope and complex regional pain syndrome. Through all the pain, swelling, multiple doctor visits and treatments, Shelby remains positive and doesn’t let her diagnosis stop her. A typical 11th grader, Shelby’s hobbies include dancing, writing, listening to her vinyl records, and doing make-up. Shelby also enjoys playing, snuggling, and shopping with her skilled companion service dog, Lex. Shelby loves to advocate for her invisible illness and service dogs. At home we also have a pet dog named Coco and a cat named Sally. 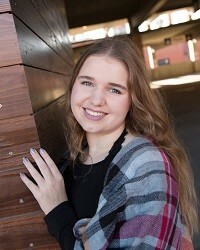 After Shelby graduates from high school, she wants to continue her education at the University of Northern Iowa. Shelby has a dream of being a sports therapist. We are very appreciative to the Arthritis Foundation and honored for Shelby to be chosen as the youth honoree for this year’s Walk to Cure Arthritis in Cedar Rapids. Visit Shelby's fundraising page to donate today!